Learn about Attorney Evan F. Nappen. He fought for New Hampshire Knife Rights. 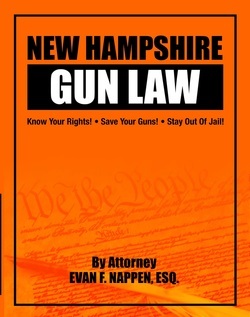 Attorney Nappen has dedicated his life to fighting for gun and knife rights and law abiding sportsmen. He moved to beautiful New Hampshire with his wife Beverly and his three children from infamous New Jersey. He was fed up with that state’s anti-gun and anti-knife laws, high taxes, high crime rate, environmental pollution, and its culture of political corruption. He has practiced law for over 25 years defending our rights. He knows first hand what rotten laws do to honest folks.